Tragically, my brand new BAM! podcast is very timely with today’s stabbings in Pennsylvania. 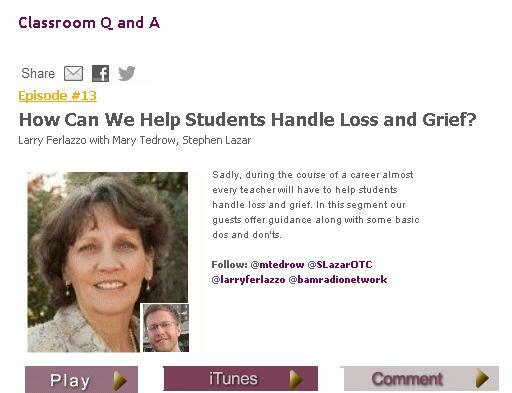 Mary Tedrow and Stephen Lazar join me in a ten minute conversation on How Can We Help Students Handle Loss and Grief?